The number one customer request for Callisto in recent months has been for some visibility of OS deployment. 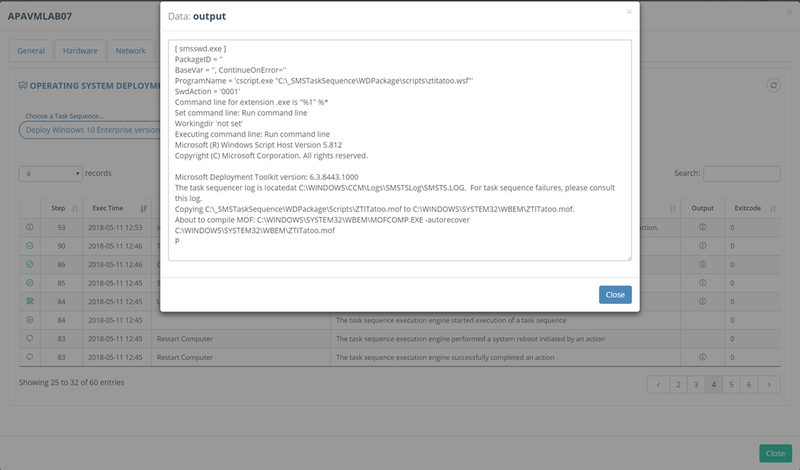 In the ConfigMgr console we get some reasonable stats, but they’re not particularly intuitive, you need the console installed and it’s not really appropriate for management or business use. Fair enough, so let’s get to it. The SQL is pretty complex as we’re dealing with status message queries, relatively large data sets and there’s the usual date handling and translation to sort out. 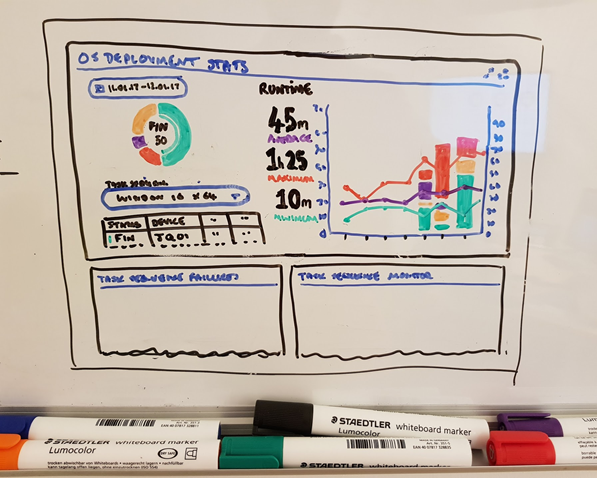 We want all the screens in Callisto to be useful to tech staff and to management, so we aim to provide an excellent data-dense top-level summary, but with depth of data behind each object with click through, pop-over and detailed charting, so there’s lots to play with. Weeks pass and our dreams are disturbed by the imprint of SQL Management Studio on our retinas, but eventually we’ve got a working prototype. Our beta customers give it a spin, some excellent feedback, a few iterations and now we’re ready to share it with the world. 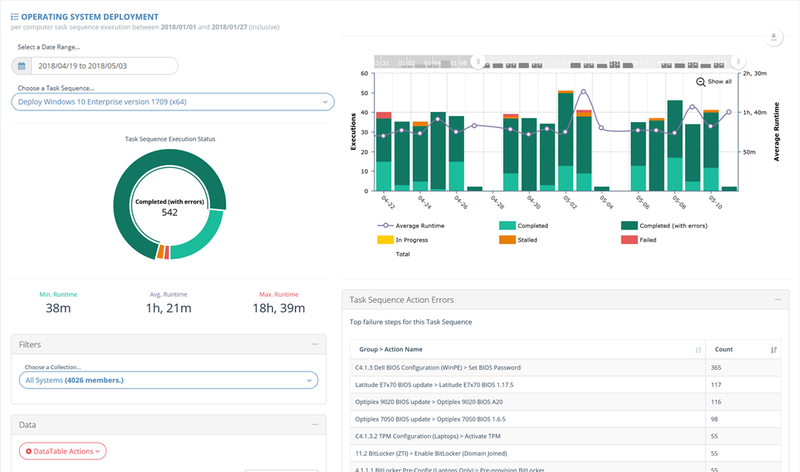 New in Callisto 1805, the OS Deployment Dashboard! The donut shows the completion status of all task sequence executions within the timeframe. The bar chart shows day-by-day trend for OS deployments with completion, failure, stall and a trend line for average build time that day. Where task sequences are generating errors these are listed below the chart ordered by most common. Everything on the page is clickable to expose further details. 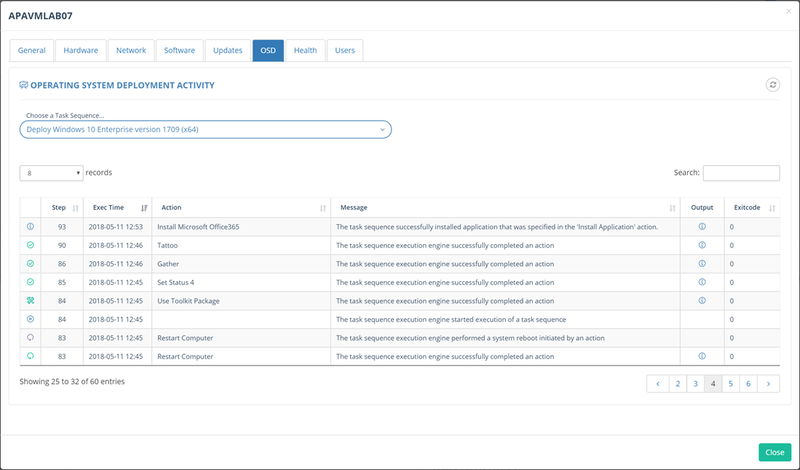 For example, the device modal is now extended with Task Sequence data to show the status of each task executed, the refresh icon on this page allows you to watch a build live as it deploys.